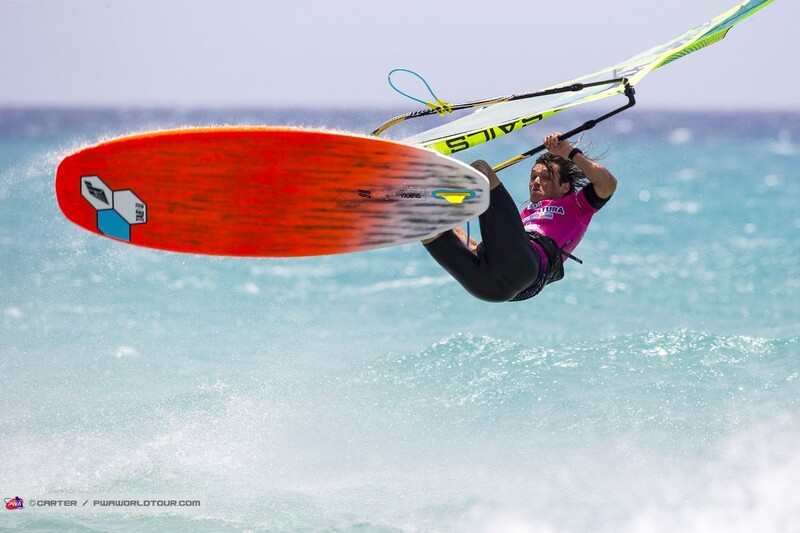 UKWA Windsurfer of the year 2018 nominees – Who is your money on for 2018? 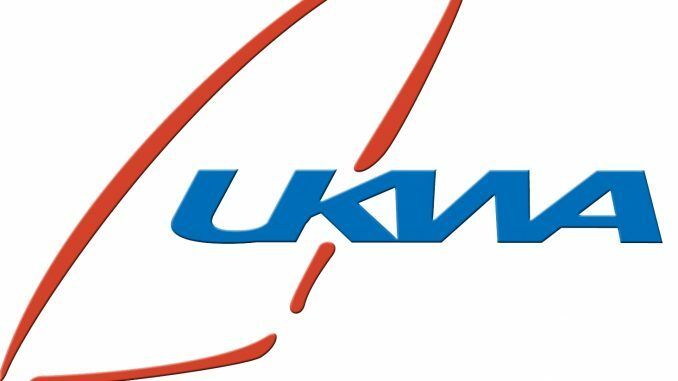 It’s the date on the calendar that the UKWA unveil their nominees for the prestigious UKWA windsurfer of the year. Now it goes to YOU, in a public vote to decide who will be crowned. The roll call of names on this trophy reads like a who’s who of windsurfing royalty. 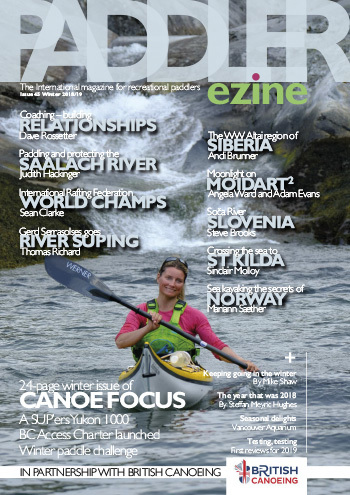 Previous winners have been Olympic champions Nick Dempsey and Bryony Shaw, Speed Legends Farrell O’Shea and Zara Davis, Freestylers Andy Chambers and last year’s winner Emma Wilson. But winning this coveted trophy is a once in a lifetime opportunity. 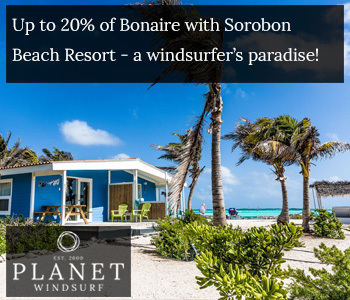 You can be nominated as best Windsurfer in your discipline many times but once you have won it, that’s it. 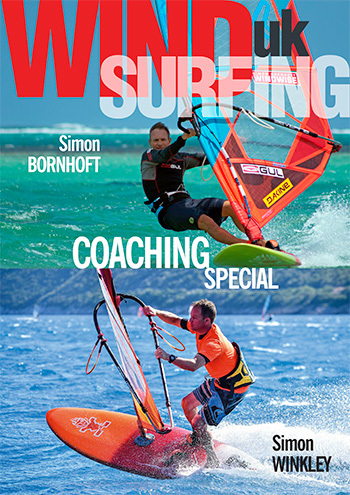 It is a great honour to be one of these nominees that encompass the full spectrum of windsurfing. They are selected based on their outstanding performance for this year gone. Then it’s then up to YOU the general public to decide who will have the honour of putting their name on it for 2018 as the UKWA Windsurfer of the Year. The categories and nominees are. 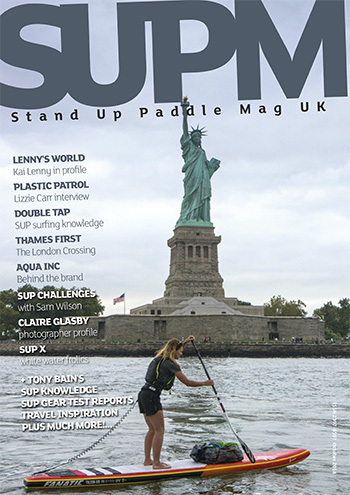 Jenna has come up through the ranks honing her skills with RYA T15 then moved into UKWA Slalom racing. Starting in the Amateur fleet she is now taking some big scalps in the pro fleet. She has had amazing year internationally to rightfully earn her nomination in this category. 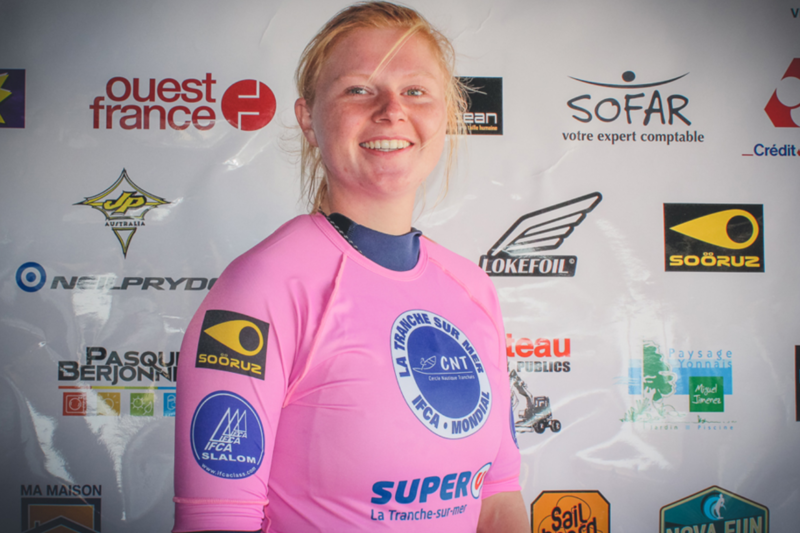 Winning the IFCA Slalom Windsurfing World Championships at only 21 years old and coming 6th in the PWA women’s slalom fleet on her first full season. She deserves your vote. At only 15 years old, Finn Hawkins is a real star in the making. 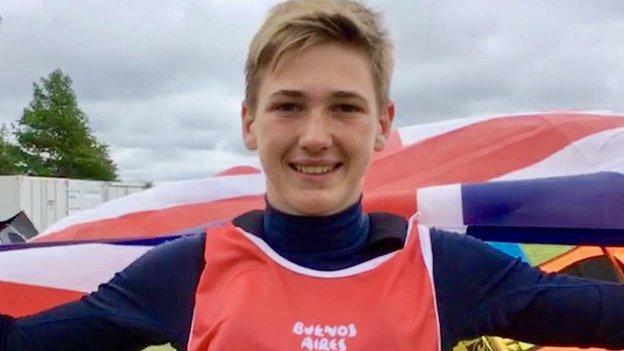 He helped set Team GB on their way to a highly successful 12 days of competition at the Buenos Aires 2018 Youth Olympic Games by winning the country’s first individual medal in Argentina. He came 3rd overall in the Techno Worlds Latvia and 5th overall in the Techno Europeans in Athens. Did mention he is only 15! This is a well-deserved nomination for the racing category and with these results has earned your vote. 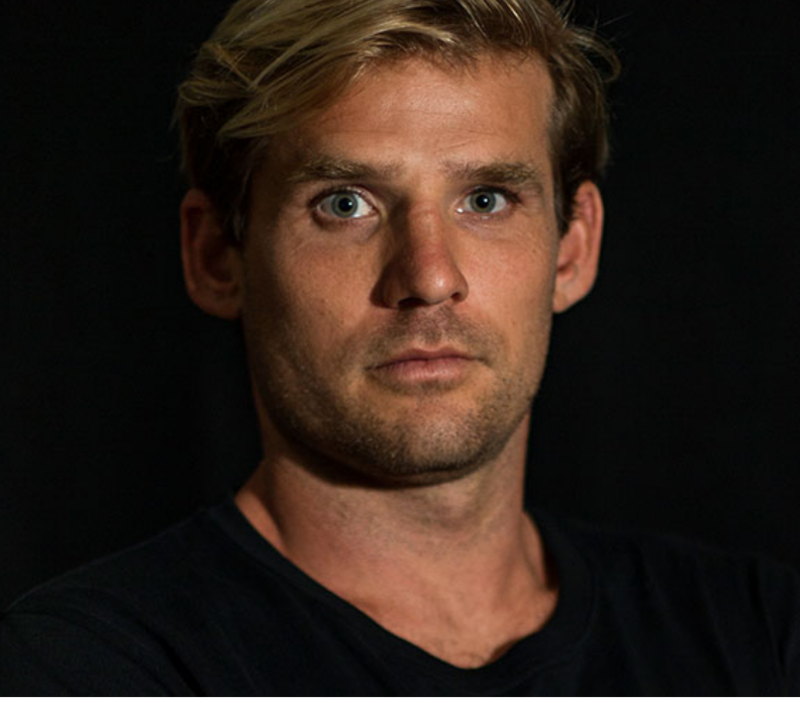 Deservedly nominated for the 2nd year in a row, Adam is one of our most successful wave sailors and one of the nicest windsurfers you will ever meet and always has a smile on his face. But don’t let this appearance fool you if you ever come up against him in a heat! He is an International team rider for Fanatic, North. He has been nominated in wave again on performance, after another fantastic year. On the podium in the PWA event in Tenerife and a very respectable 6th overall for the year in the PWA rankings, Adam deserves your vote. Again nominated for the 2nd year in a row. 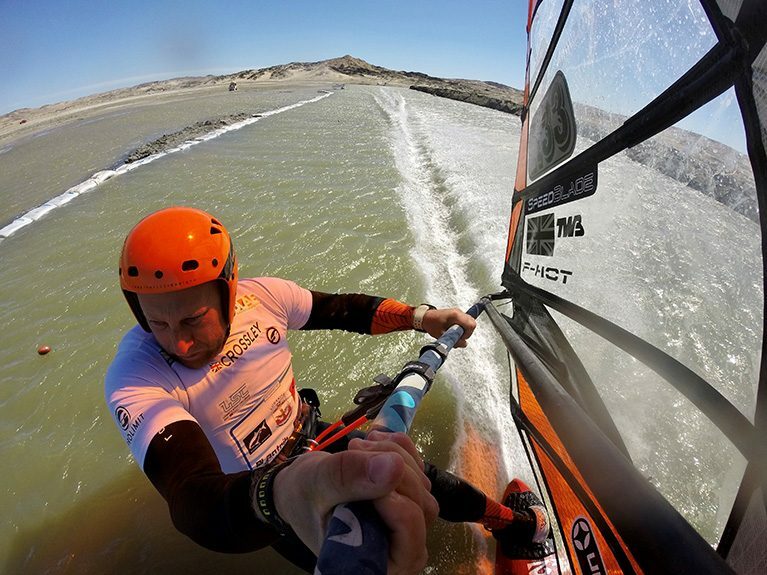 Jim came 9th in the ISWC speed world championships this year in Fuerteventura against a very tough line up, won the UKWA GPS speed challenge with an amazing speed of 47.77 knots over 250m. Jim is not a full time sailor; he juggles his time with his kitchen business and his young family snatching time to sail when he can. He is headed off to Luderitz in Namibia again this year as this is being typed. So Jim’s full year’s performance is yet to be written. We wish him luck and a speed starting with a 5, in the mean time he deserves your vote for 2018. Ranked 17th overall in the PWA Freestyle rankings for 2018. Nick got off to a bad start but pulled it back it Sylt with a very creditable 9th making him the UK’s highest ranked Freestyler on the tour. This 21-year-old team rider for GA sails and Tabou Boards is improving all the time and deserves his nomination again this year. He is for sure one of our best up and coming freestylers and undoubtedly deserves your vote. 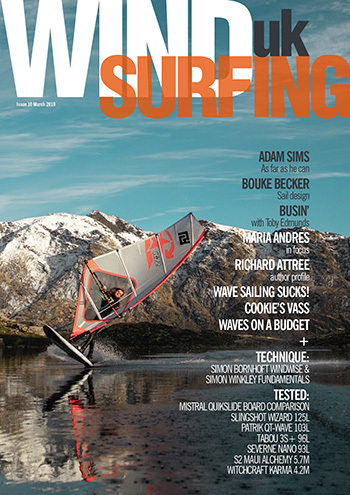 The place to vote is on the UKWA website, the link is https://ukwindsurfing.com/woty/ but remember you can only vote once and it doesn’t open till the 13th of November.